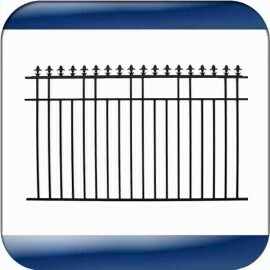 Fence is 0.9M high at ends, 1.1M high at middle and 2.4M wide. Select no of panels from drop down menu for better shipping cost. Fence is 900 mm high and 2.4M wide. Select no of panels from drop down menu for better shipping cost. Fence is 1.5M high and 2.1M wide. Vertical pickets are 19 X 19mm and 1.2mm thickness. Select no of panels from drop down menu for better shipping cost. Fence is 1.8M high and 2.1M wide. Vertical pickets are 19 X 19mm and 1.2mm thickness. Select no of panels from drop down menu for better shipping cost.